It is a long drive, but Summer Lake does not disappoint as a destination. 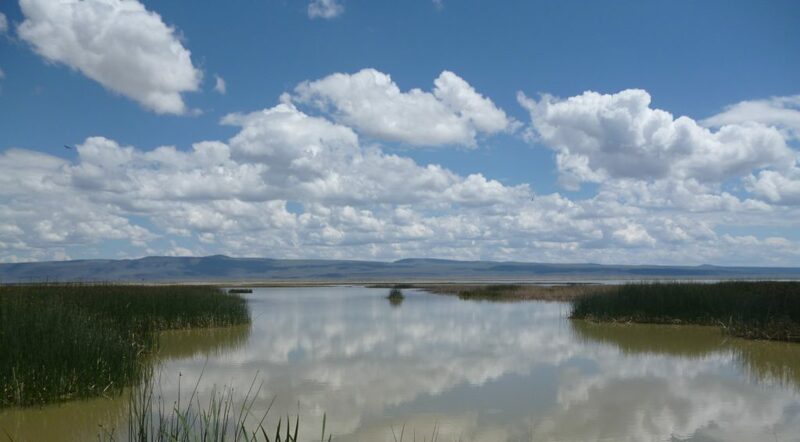 Located 2 hours south of Bend, in what is fondly called the Oregon Outback, Summer Lake’s shallow waters and marsh provide an important stopover for water birds traveling along the Pacific Flyway during their spring and fall migrations. It is also a convenient jump off for exploring the Steen’s Mountains, alkali playas, wet meadows and geothermal waters in this remote corner of SE Oregon. Summer Lake Hot Springs is a short drive south around the lake. The marshes and mudflats give way to the dry alkali lakebed. The hot springs public bath house was built in the 20’s inside a historic barn. People have been visiting these artesian mineral waters for nearly 100 years. There are pools for soaking outside or in. Making time to walk down to the shimmering lake bed or up into the hills to get a panoramic view of the lake basin makes the hot-springs a great destination. During Walker’s stay, their accommodation came with personal outdoor soaking pools (one hot and one cold) and to their delight yellow-headed blackbirds, living in the adjacent pond, serenaded them to sleep each night. “It was faraway, but a place I would visit again, it is a very unique place in Oregon”. A Summer Lake package with a few added bonuses will be a part of Wetlands & Wellies 2018 auction. 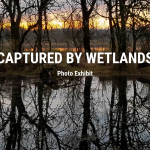 If you are looking for a getaway, adventure, or exploration of a new place we promise you will not regret visiting this Oregon’s greatest wetland.